PennsylvAsia: “Spiritual Health vs. Mental Health: The Uses of Japanese Naikan Meditation” lecture at Pitt, February 27. “Spiritual Health vs. Mental Health: The Uses of Japanese Naikan Meditation” lecture at Pitt, February 27. The Asian Studies Center at the University of Pittsburgh will host Associate Professor of Religious Studies Dr. Clark Chilson and his lecture "Spiritual Health vs. 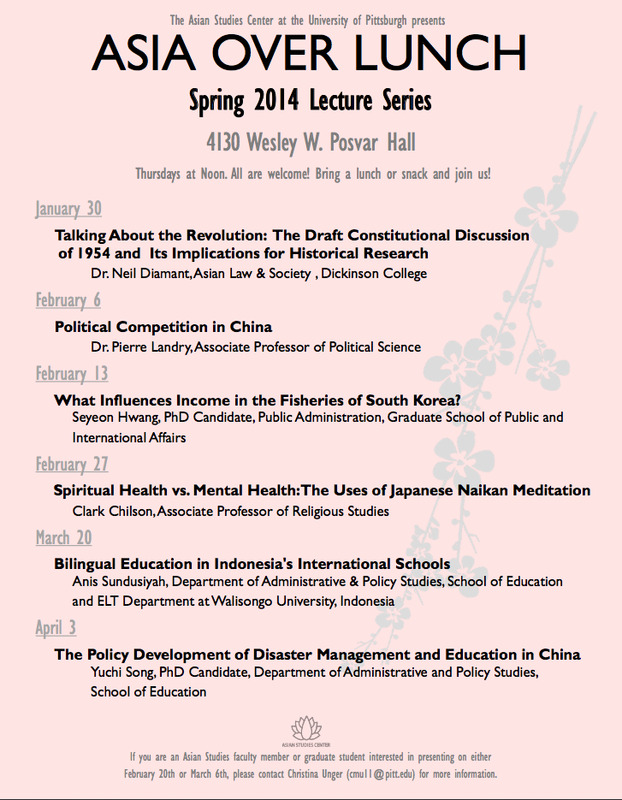 Mental Health: The Uses of Japanese Naikan Meditation" on February 27 as part of the Asia Over Lunch lecture series. It takes place at 12:00 pm in room 4130 Posvar Hall (campus map) and is free. 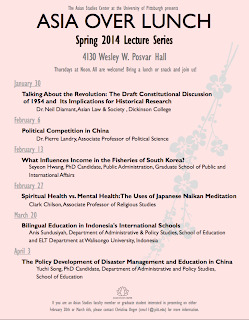 Upcoming lectures in the series this term are printed on the flyer above.